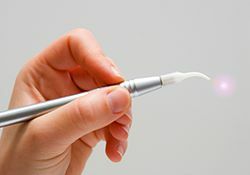 At Dentistry by Design, patients will be glad to know that our Bartlesville office is updated with modern tools and techniques that can’t be found in just any practice. By keeping up with the developments in this ever-evolving field, Dr. Luke Lumpkin is able to improve each step of the dental care process to even greater levels, from accurate diagnoses all the way to truly exceptional results. Our team always makes your comfort and satisfaction a priority! Contact us today to schedule your first appointment, or if you have any questions or concerns we can help you with. All too often, patients are left in the dark about the details when it comes to their oral healthcare. 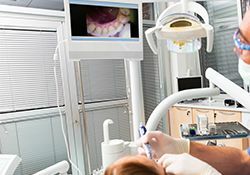 Thankfully, advanced intraoral cameras can help them make the jump from just being along to the ride to becoming a full-fledged, knowledgeable participant in the process. 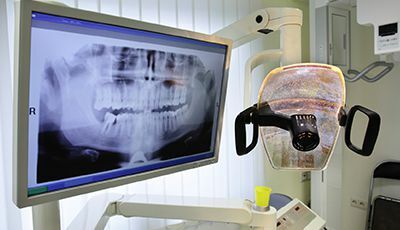 Our team will carefully insert the camera-tipped wand of the Digital Doc IRIS technology into the patient’s mouth so it can capture high-resolution images that are then transferred to a conveniently placed monitor. We can use this visual aid to better explain treatment options, highlight problematic areas of the mouth, and create a more transparent care experience overall. 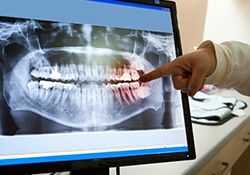 Your smile has a lot going on underneath the surface and outside of the naked eye’s view – that’s why digital X-rays are so crucial to the diagnostic and treatment processes. At Dentistry by Design, our team has invested in the state-of-the-art DEXIS digital system for improved accuracy and faster results. Instead of having to wait for traditional film images to be developed in a darkroom, our team can now capture X-rays and transfer them to our computer system for viewing in a matter of mere seconds. Even better, any radiation exposure is greatly minimized with this system, which means our valued patients are safer. Our Picasso diode soft tissue laser is the ideal tool for gum disease treatment and other important periodontal and endodontic procedures. The focused energy of the laser allows for the precise cutting and removal of gum tissue, as well as instant sterilization. This approach greatly reduces trauma to the treatment site and minimizes bleeding to the point that sutures aren’t even needed, which greatly improves healing time in turn. Our team is happy to create a more positive dental care experience however we can here in Bartlesville.